Why do we celebrate Vasant Panchami? Vasant Panchami marks the onset of spring. It is an auspicious day. This festival which is celebrated across the country also marks the beginning of Saraswati Puja. According to Hindu calendar, Basant Panchami falls on the fifth day (Panchami) of the Hindu month of Magha. It is celebrated in different states of India. As per the popular folklore, Goddess Saraswati – the deity of knowledge, music, arts, science, and technology – was born on this day and people worship her to achieve wisdom. 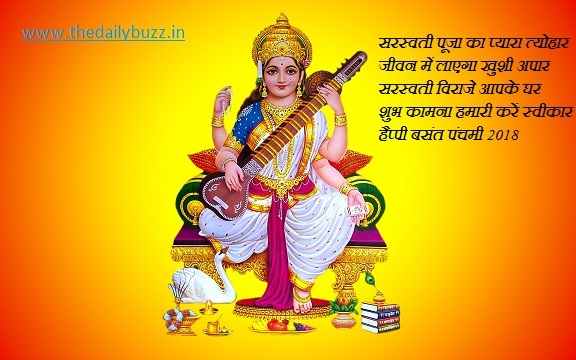 Hence, Basant Panchami is also known as Shri Panchami and Saraswati Panchami. Another folklore is that Lord Rama ate half tasted grapes of Mata Shabari on Basant Panchami. To commemorate the beliefs, the festival of Basant Panchami is celebrated. It is also believed that people worship Goddess Saraswati on this day because she was granted a boon by Lord Krishna. 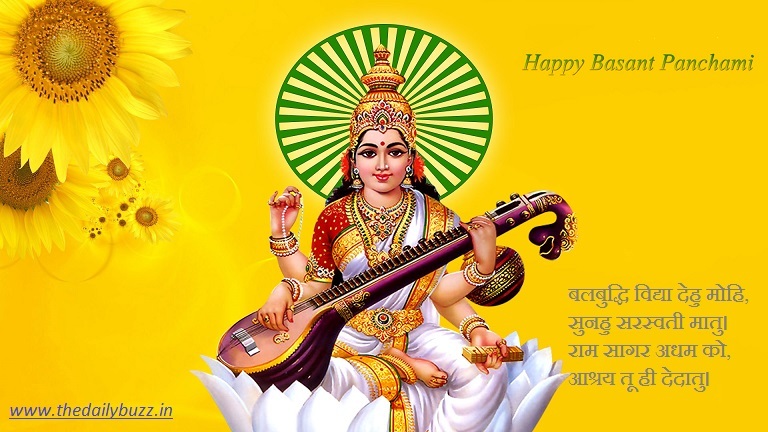 Basant Panchami is celebrated to honor Goddess Saraswati, the goddess of learning who bequeaths the greatest wealth of humanity – the wealth of knowledge. People worship her to get enlightened with knowledge and to get rid of lethargy, sluggishness, and ignorance. Schools and colleges arrange pujas in the morning to seek the blessing of the Goddess. Children are taught reading and writing their first words on this day – as it is considered an auspicious day to begin a child’s education. Goddess Saraswati’s idol is worshipped at home. Purvahna Kala, which is the time between the sunrise and the midday, is considered as the time when one should worship her. During Saraswati Puja, the goddess is dressed in yellow and flowers and sweets of the same color are offered to her. Boondi laddoo and meethe chawal (sweet rice) are offered to her. On this day, books are kept at Goddess Saraswati’s feet. This ritual is also known as Akshar Abhyasam or Vidyaarambham. Students keep their notebooks, pens and educational items near the statue of Goddess Saraswati and distribute sweets among the devotees. The color yellow holds great significance during Basant Panchami as it is associated with the color of mustard flowers that bloom during this season, so wearing yellow is also encouraged. In India, the festival is celebrated mostly in northern states of Punjab and Bihar, where people celebrate it as a festival of kites.